Halloween is the same every year: Whitney is really, really into it and I come along and have the best time in the end. So if there's a reason that there are any pictures to be taken in the first place, it's because Whitney insists (unconvinced by any of my complaints) that we go all out every year. 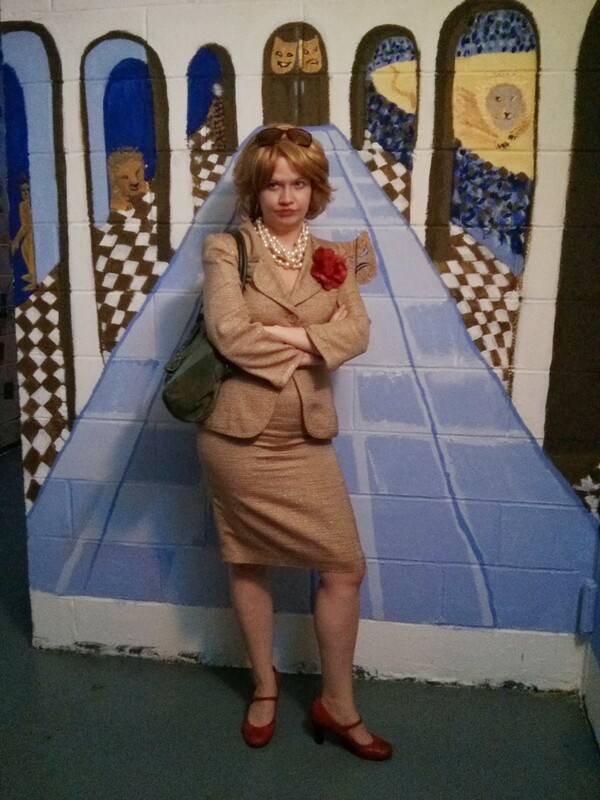 This years inspiration was the TV Show Arrested Development. Actually getting the costume right, seemed pretty difficult particularly because they are not wholly remarkable. This years surprise ingredients? A dough hook from Kitchenaid and comically large necklace, courtesy of an officemate of Whitney's. Furthermore, Ivy did a fantastic job with my bald cap. Did I mention I was wearing a bald cap? 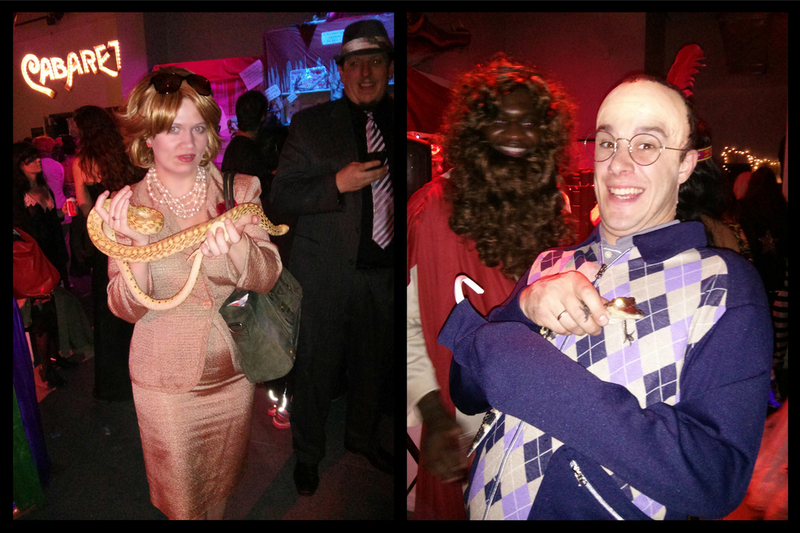 Anyway, we think we nailed them and without further ado, we present to you, Lucille and Buster Bluth! Here you can see Lucille with a snake and Buster with a baby alligator. Not at all true to their characters, but come on!